Starting January 20, 2019 until April 22, 2019 inclusive, travellers can book select vacation packages to Punta Cana and Montego Bay with weekly direct flights from Detroit. 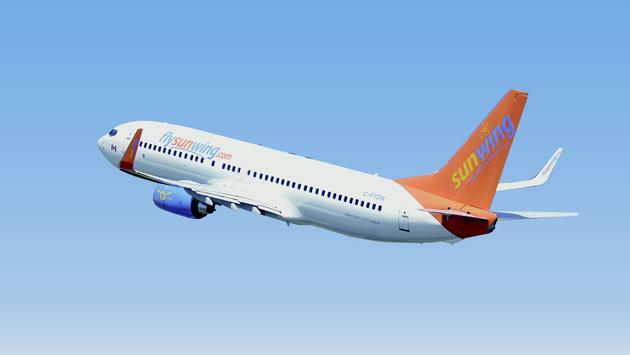 Sunwing has made it even easier for Southern Ontario residents to vacation this winter with the addition of new flight services from Detroit Metropolitan Airport in Michigan for the first time ever. Starting January 20, 2019 until April 22, 2019 inclusive, travellers can book select vacation packages to Punta Cana and Montego Bay with weekly direct flights from Detroit. Flights to Punta Cana will operate on Sundays, while flights to Montego Bay will operate twice-weekly on Mondays and Fridays. All Sunwing packages from Detroit include return airfare on Sunwing Airlines aircraft, airport transfers and the services of a Sunwing representative. On board, travellers can look forward to a complimentary non-alcoholic drinks service, a complimentary snack and a selection of buy on board meals, snacks and alcoholic beverages (all prices in USD)*. Ten adults travelling together can receive special prices, added values and reduced deposits. For more information on group vacations click here.